Because previously promised publications had priority, I have been patiently anticipating November for the opportunity to pillage the precious provisions Market Vineyards provided months ago. And they too awaited, happy to send me any information or research request that I had. 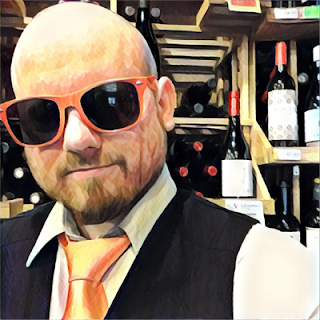 From the time between when they first contacted me until now, I've found that these guys have the right idea when it comes to reaching out to the online wine community. I wouldn't be surprised if you start to see Market Vineyards all over your newsfeeds and timelines. I just had an entire month dedicated to Merlot and Market Vineyards is overwhelmingly red, thus I had to take a break from reds to do a little white. So you'll notice that my Wine Pick of the Month is Scott Family Estate Chardonnay and my first MV review is also a white. 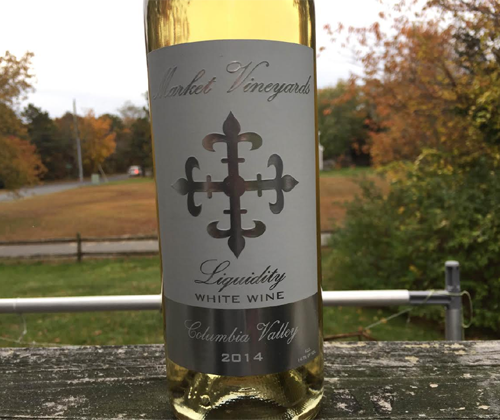 Liquidity is actually the ONLY white wine produced by Market Vineyards. After this it's all red until December! So if you're strictly a white drinker then soak this one in. The blend for the 2014 Liquidity is 50% Viognier and 50% Roussanne, all grapes sourced from Gamache Vineyards. Only 475 cases were made and the final ABV is 14.7%. I love the label! Not only does it look beautiful but I wish you could feel the texture. It looks glossy and slick in the picture, right? Nope. It's got a vinyl feel to it. The embossing of their powerful logo is also tastefully, not cheesily, done. Viognier / Roussanne blends have this thing about them that separates them from every other white blend out there that I just can't pin down. It's not a specific aroma or flavor or anything like that, but there's something different about the overall experience that nothing else has. Let me know if you've figured it out. On the nose there's aromas of floral candle wax, candied apricots, ruby red grapefruit, citrus peel and cilantro. It's full bodied, low in acidity, and has a wax-like mouthfeel. There's flavors of apricots, white peach and honey. And, I swear, there's almost like a milk chocolate thing going on there too. It finishes with a thick and smooth coating on your teeth and a bit of spiciness on your tongue. This is a damn fine Viognier / Roussanne blend! Is it worth the price of $20? Yes! Market Vineyards made their only white wine worth making.